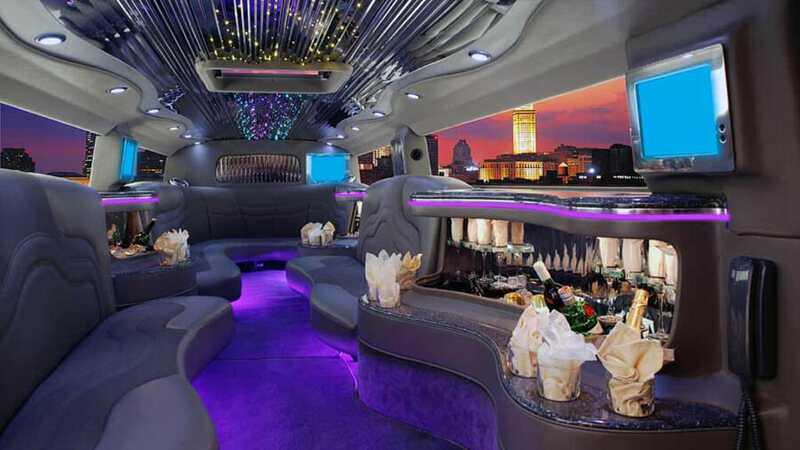 Our stretch hummer limo is perfect for special occasions, weddings, formals, or a memorable night out, and is driven by a professional limo chauffeur. Stretching 36 feet and seating a massive 16 people, it boasts custom 20 inch wheels and tinted windows, champagne and beverage storage, champagne flutes and glasses. It also has 3 bars stocked with complimentary champagne, soft drink and water, so you can enjoy your night away. The hummer is fitted with a sound system with CD & DVD player, light dimmer and colour lights show, a mirror ceiling, and a privacy divider.